Paws for Life pairs California prisoners with rescue dogs who need a little help with their manners. One thing that really increases a pup’s chances of getting adopted? Being well trained. It takes time, hard work, and a dedicated teacher. Where to find those focused instructors? Los Angeles-based Karma Rescue has an idea. 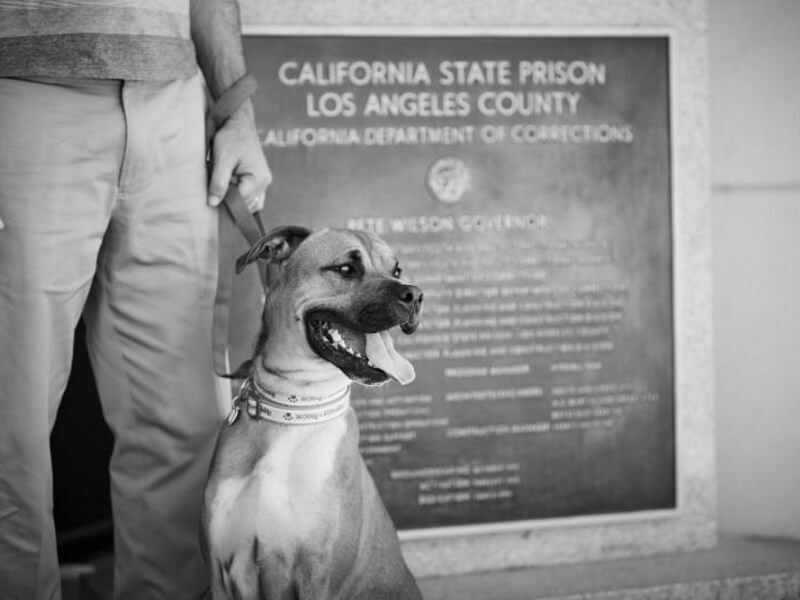 The animal-welfare organization launched a prison-outreach program that connects pups in need of homes with responsible inmates at the California Department of Corrections and Rehabilitation for a three-month training period. The initiative is called Paws for Life, and it benefits both dogs and detainees in wonderful ways. Just check out this under-the-radar video all about the rehabilitation efforts going on with Paws for Life. It features Karma Rescue Founder and President Rande Levine, inmates, and prison guards all sharing their thoughts on the life-changing program that instills confidence in both trainer (inmate) and trainee (dog), with the goal of making the pup a canine good citizen. After 90 days of working together and building a very special relationship, the dogs graduate in order to be placed in permanent loving homes and the inmates look forward to receiving another pooch to train. This may be the first, or only, time you settle in to watch a relatively lengthy, 12-minute YouTube video, but it’s well worth it. Karma Rescue currently plans to join forces with other institutions and expand the program in the near future.